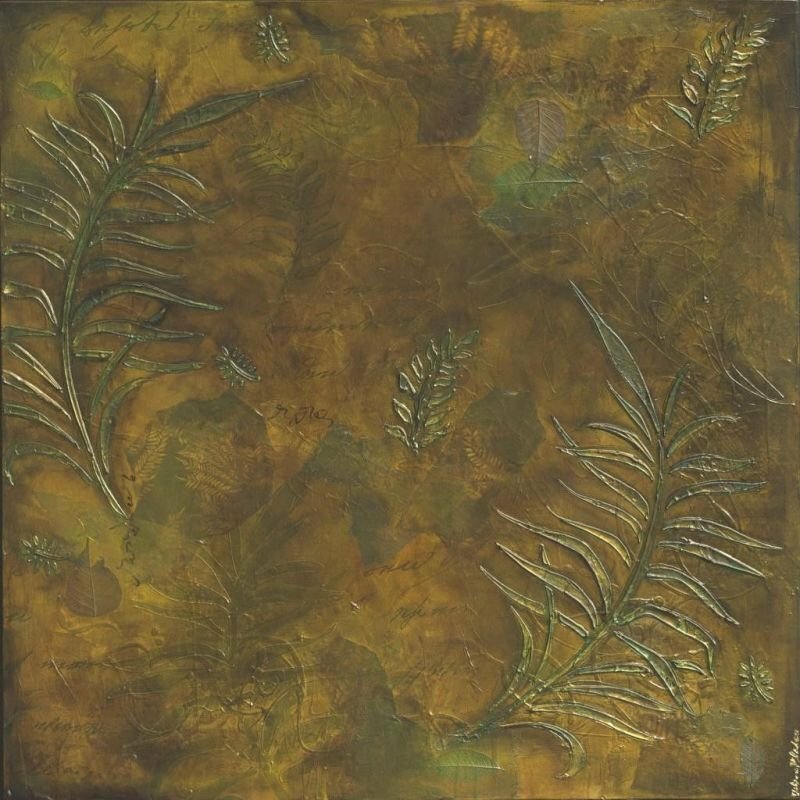 I have used MANY Acrylic, and several shades of green and GOLD LEAF, real leaves, along with imported and hand made papers, then two coats of High Gloss Varnish. This process requires, layering, and layering, along with buffing the metal leaf to get it to glow through the many layers of paint. Altogether, this piece has about 15 layers. EDGES PAINTED BLACK, NO NEED FOR FRAMING, READY TO HANG.